I am just back from a short trip in NYC during which one of my colleague mentioned how much she loved the new shoes she just bought. She said she had to check 3 times that she indeed had her shoes home while coming to the office in the morning, because they were so comfortable she thought she was still wearing her slippers! Then added that they were from merino wool. I was like “whaaaat? !” (She doesn’t know I breathe and write about merino!). So I asked for more. She said the brand was from Allbirds and there I was googling it and spotting their store a few blocks down in Soho. In no time was I trying to figure out why are shoes in merino wool a good idea and then look at all the brand available. Why are shoes in merino wool a good idea? The greatest benefit of using merino wool to make footwear is its warmth relative to weight. The fabric has this space between its fibres that traps heat; hence, making it warmer than other fabrics of similar weight. This is why merino shoes are able to keep your feet warm in cold weather. But merino shoes aren’t just for Winter anymore. Nowadays, this fabric is being used to make warm-weather footwear, and for good reason. Merino wool has a natural moisture-wicking ability, which helps to keep your feet dry throughout. Turns out that the most concentrated area of your sweat glands is in the soles of your feet. In other words, you sweat more through your feet than any other part of your body. However, merino wool has the capability to pull moisture away from your feet by absorbing it into its fibres. The moisture then penetrates through the fabric and evaporates to the exterior; hence leaving your feet dry. Merino wool shoes are also highly breathable. Their ability to wick moisture makes your feet sweat less than you would if you were wearing typical sneakers. What’s more, merino fabric has natural anti-microbial properties. This factor helps in the prevention of odours and bacterial growth that could cause health problems. And because merino wool tend to be very soft, lots of people choose to wear them without socks. But if you do, just make sure to NOT use cotton socks which would pretty much counter act all the benefit of the merino wool which is to not smell! Obviously, we recommend to choose socks made of merino wool. When you try on merino shoes, the first thing you’ll notice is that they’re incredibly light. This makes them comfortable to wear without having to carry additional weight. As an example, the sole of the Giesswein Merino Runner weighs just 46 grams while the whole shoe weighs 200 grams. By comparison, adidas Parley Primeknit shoe weighs 907 grams (2 pounds). Bonus point: if you’re an eco-conscious individual, you’ll appreciate the sustainable attributes of this fabric. Merino wool is renewable, recyclable and it can be produced organically. With such remarkable benefits, it makes sense that the prices of merino shoes are on the premium side. If you’ve ever shopped for running shoes before, you might have come across this term. This is simply a measure of how much taller a shoe is at the heel than at the forefoot. For instance, if a shoe has HTT (heel-to-toe drop) of 10mm, it means your heel sits 10 millimetres higher than your forefoot. Initially, there were claims that shoes with high heel drop posed a risk of knee injuries. However, based on two scientific studies conducted in 2017, these allegations have come to be refuted. So it all boils down to your individual preferences. Another feature you’ll want to pay attention to is whether the merino shoes have removable insoles. This is particularly important for persons who suffer from podiatric problems like flat feet or plantar fasciitis. Essentially, a removable insole can easily be replaced with custom orthotics. On the same note, those who sweat regularly are advised to change their insoles every three months. Thus, it pays to have merino shoes with removable insoles. You should keep in mind that merino wool is often blended with other materials when making footwear. Only a few manufacturers like Allbirds make merino shoes using all-natural materials. Others incorporate synthetic materials like artificial suede or a nylon weave. For the best experience, we recommend going for merino shoes made of leather. Like wool, this type of leather is a natural material and it’s also more durable than the synthetic materials. Merino wool has self-cleaning abilities. 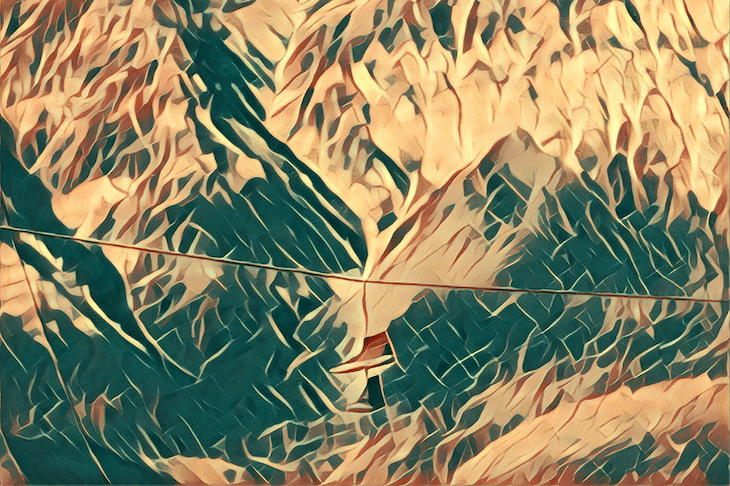 However, if periodic cleaning is requires – if you wear them without socks for exemple – you often can simply put them in the washing machine using “wool” or “delicate” cycle. 2) Remove the laces and insoles from your merino shoes. It’s better to wash the laces and insoles by hand. 3) Put your shoes in the washing machine and set it to wool cycle. Some recommend that you put these shoes in a linen bag. How does Merino Wool Fare in the Rain? Like all kinds of wool, merino wool has lanolin- a compound that creates water-resistance on every fibre. This enables the shoes to sustain light rain. Because of this, your feet will get wet just slightly, and even then, the insulating property of merino will keep them warm. They can get totally soaked though, in the case you walked in a puddle for exemple. Luckily, merino wool is a material that dries fairly quickly (air dry only) so you’ll be able to wear your shoes within a few hours. 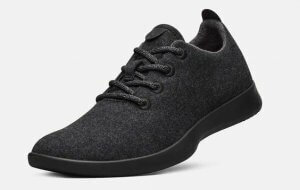 Hyped to be the most comfortable shoes on the planet, Allbirds merino shoes definitely live up to their name. They are soft, light as a feather and they conform to your feet perfectly. Made from superfine Merino wool (which is sourced from New Zealand), these shoes mimic the anatomical structure of your feet. This ensures that there’s even distribution of weight as you walk. Note that even if they look like runner shoes, there are mostly made for casual wear with style thanks to a minimal branding. Both the men’s and women’s merino shoes are available in a variety of colours going beyond the natural grey, black, and white to be the most fashionable merino wool shoes on the market at the moment. Le Mouton shoe offers a very similar minimalist look. They are available on Amazon which is a great plus if you want to try several sizes. Le Mouton brand basically made shoes made of merino wool before everyone else which is why they have so many reviews. They are available on Amazon which is a great plus if you want to try several sizes. 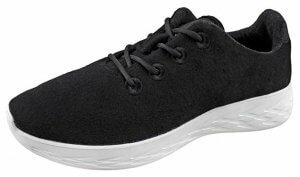 Even on a low budget, you can get quality merino wool shoes like the Urban Fox Parker Sneakers. These are made of 70% wool and 30% polyester, meaning they are meant to be as light as the 100% ones with added resistence in the upper, but for the cost of breathability and smell retention. The combination of these two materials makes these shoes feel very soft and cozy. What’s more, they come with adjustable laces, enabling you to choose the tightness level you prefer. You can wear these merino shoes when going to the gym, on the road and even as an everyday sneaker. Urban Fox Parker sneakers come in a variety of colours, to match your style. They’re available in black/black, charcoal grey/white, light grey/white and black/white combinations. Looking for a high-performance sport shoe that’s made of merino wool? Try the Wool Cross X by Giesswein. The lining on these sneakers is made exclusively from merino wool. These shoes also boast micro-grip technology, which prevents slippage on wet surfaces. If you factor in the dual-compound sole, you get all-weather merino shoes that can tackle every terrain; be it snow, rocks, mud, sand or water. The fact that the Wool Cross X are made of merino wool makes them superior to other sport shoes. For one, they are lighter; hence, offering you maximum support for a good walking or running experience. Two, they have moisture-wicking capability so they’ll keep your feet dry throughout your sporting activity. Finally, these merino sport shoes are versatile enough to be used in both cold and hot weather. You can read more about behind the shoe on their initial Kickstarter campaign. Baabuk is another wool brand tarted thanks to a crowdfunding effort. Their first modal was an indoor slipper inspired by russian design. They have grown since and now do sneakers as well as boots.